I'm going down again! Slowly, but surely. So since I haven't posted a blog in a week, I thought I'd recap my week. 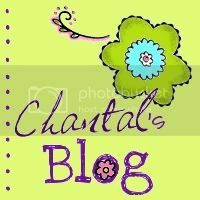 I've been sort of lazy about blogging! Sunday: Brandon and I didn't do much, lol. Hung out, watched Weeds, watched movies, went swimming, the usual! Monday: Brandon had 24 hour staff duty starting this day at 9am, so he was gone all day. I went to Pilates (interesting, I'll do it again), and then went to Best Buy to buy the new Rob Thomas CD. I found out there that it wasn't out until Tuesday. Sorta sad... or well. I went home and really just stayed home the rest of the day. Watched TV, read, and watched a couple movies before going to bed! Tuesday: I usually work out on Tuesdays much more, but I've been feeling awful lazy lately. Brandon came home at about 9:30 in the morning from his staff duty, so I stayed home with him. He took a nap while I watched some more Weeds (it's an awesome show). Then we had lunch at Buffalo Wild Wings, which made us sick, and went to Best Buy again to finally buy my new CD! We also went to Barnes and Noble's. That night we rested because we felt sick. Wednesday: I volunteered at the museum from 9-1. Brandon had to work a graduation in the afternoon, though he really was gone for only a couple hours. He came home not too long after I got home. We watched more Weeds, another movie (probably, I can't even remember! ), and ate some good dinner. Thursday: I did yoga and instead of the regular spin class, I just did a half hour on the bike myself. Spin has gotten kind of boring :P. Then I met Brandon at the commissary and we went grocery shopping together! It was super busy because post was closed on Friday. We also got some gyros to eat, yum. Then when we got home we hung out for a bit, then played tennis and went swimming. We've been playing tennis a whole lot lately, since we got ourselves some rackets. It's been tons of fun though! Friday: We decided to have a little barbecue with some friends and play volleyball. We ate hot dogs and ended up playing volleyball in the pool since the sand was very very hot. We also played some tennis. It was fun! We both got sunburnt and were so tired. We watched Slumdog Millionaire, which is a good movie, and then went to bed. Oh, we had dinner at a sushi place! That was yummy. Friday Weigh In on a Sunday!